Where to Buy a Keg in NYC? 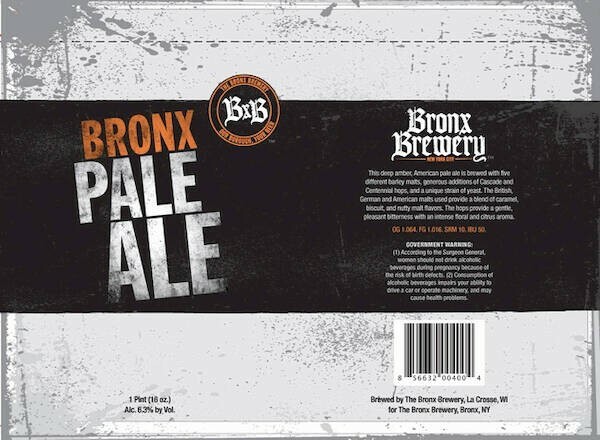 Bronx Pale Ale is brewed with five different barley malts and cascade and centennial hops. It has caramel, biscuit and nutty flavor with floral and citrus aroma and pleasant bitterness. Please order 48 hours in advance. Keg price includes delivery and empty keg pickup. This keg contains approximately 55 12oz cups of beer. A refundable deposit of $100 applies to each keg. Deposit is refunded on your card after empty keg, pump and tub are returned. © 2019 NYC Kegs / Sold by Authorized Retailers / Made in Brooklyn, NY / All Rights Reserved.